Matchmakers Concerts - Groups announced! The first two clubnights in June (Sundays 9 and 16) will be Matchmakers Concerts. Our Matchmakers event is where we (Especially Deputised Committee Members) have allocated our performing members into unfamiliar groups (listed below) to come up with two items to perform in one of the two June nights. There's no compunction to take part - there are enough people in each group If you are not on the list and would like to be involved, drop us a line also so we don't leave you out. These nights are a lot of fun and hidden talents are always discovered. Please Note, the first person listed in each group is the nominal coordinator for the group - you will be sent contact details for the others in your group by email. Group 12: to be advised. The AGM of the club is set down for Sunday April 28th at 4pm. The club is seeking new committee members. All positions are contestable: President, Secretary, Treasurer and seven ordinary members. Here is the nomination form - new nominations and nominees are welcome and must be with the Secretary 14 days before the AGM. Nominations will not be taken from the floor. Please make sure your membership is current - you can fill out this online form and we'll let you know if you're already paid up, otherwise it's a simple matter to pay online. Friday April 5th from 6pm, join us for a Pot Luck Dinner and social to wish Peter and Dianne Madill farewell. Peter and Dianne have been very active and incredibly helpful members of the folk club since they moved to Dunedin, both serving on the committee and Peter, as President. Both are Life Members of the Dunedin Folk Club. They will be much missed. Bring along some food for a shared meal and some drink for the table and wish them all the best for their move to Wellington region. Instruments are always a good idea. Welcome back. The new year kicked off in fine style at Whare Flat with the stunning weather being a welcome addition to the great lineup of musicians that were there to entertain us. There were a lot of new faces attending who were impressed by the festival and I'd like to take this opportunity to publicly thank the organisers who put so much of their time and attention into making this such a great event. We started the clubnights earlier this year than ever before and last Sunday was a one out of the box. Dianne Madill put together a mammoth concert of performers of Peter Madill's instruments and every one was a gem. Most of us had no idea who and what had been organised - Graham Wardrop, The Eastern, Joseph Balfe to name but a few. So this year promises to be a great one - get yourself along on a Sunday night - there is nowhere else you can get such great entertainment for so little. It's been great to see that the move back to Sundays seems to have been a good idea. We've had good attendances over recent weeks and hopefully that keeps building as we move into winter. Now that we've solved the problem of the heat pump that gives out when the outside temperature gets too low by having a second one installed, we can guarantee you a great place to spend your Sunday evenings - good company, good music and a warm place to be. Our latest theme night was a great event and we will continue to have these because they encourage people to move outside their usual repertoires and bring something else to life. At the AGM we celebrated the dedication to the club of a number of people and we have dedicated all of July to these people. Each of them, Kathryn Olcott, Steve Barkman, Dianne Morris, Peter Madill and Vic McDonald have been given a night to arrange performers of their choice to fill the night. These are always great events where you get to hear people who don't often perform at the folk club. So come and use our electricity this winter and keep yourselves warm at 50 Dundas. The committee has approved three new life memberships for outstanding contribution to the New Edinburgh Folk Club (and in some cases, its predecessors) over many years - several decades - and their ongoing commitment to the folk music community both locally and nationally. They are Steve Barkman, Peter Madill and Vic McDonald. It would be rare to attend a folk music event in Dunedin that didn't feature a beautiful instrument made by Peter or Steve, and individually they have contributed so much to the ongoing success of our craft. Steve has given long standing service as a sound engineer and Peter has given of his skills in construction and maintenance for the club and as a committee member and more recently, president. Both Peter and Steve's ties to the club predate current members by some years. Vic McDonald has been continuously involved at committee level for more years than any of us can remember and is a veteran of our festivals, active and inclusive in singing sessions and a keen supporter of our Open Mic nights. The Dunedin Folk Club AGM is set down for Sunday 29th April at 6pm at the clubrooms, 50 Dundas Street. There are several vacant positions on the committee including the position of Treasurer. All are most welcome to attend the Annual General Meeting but you must be a current (2017/18) financial member to vote. New memberships will not be accepted on the day of the AGM (as all new memberships have to be passed by the committee). Existing member renewals can be accepted at any time (including any arrears). Our constitution allows for 3 executive positions, President, Treasurer and Secretary and 7 ordinary members. All positions are contestable but it has often been our practice to "roll over" those committee members who wish to stay on if there are no other nominees. Where ordinary members are concerned, if the number of nominations exceeds the number of positions (7) by a small amount, we would declare those nominees elected too. It would be put to the floor that this would be acceptable by a show of hands. Nomination forms and Membership forms are available from the Downloads page. Nominations for committee positions must be to the Secretary (info@nefc.org.nz or PO Box 6093) by Sunday 22nd April 2018. In the light of the ever-increasing responsibilities of running and maintaining our venue, coordinating bookings and compliance obligations, the committee has decided to put some money aside for the position of a Club Administrator for a few hours a week. Responsibilities of the position would include venue bookings, banking, financial filing and reporting, grant applications and other operational tasks. The Administrator will report to the President and be in attendance at committee meetings. The committee will remain responsible for all governance issues and continue with all their existing functions: organising club concerts, events and festivals. The committee believes that this is a necessary innovation to keep our operation sustainable and avoid burning out a few most willing horses. This position, along with the sustainability of 50Dundas will be reviewed in 2019. While we do have someone in mind for the position of Club Administrator, we welcome any expressions of interest from club members. Email info@nefc.org.nz for further information. This year's AGM will be held on Sunday 29th April at 6pm at the clubrooms, 50 Dundas Street. There are several vacant positions on the committee including the position of Treasurer. Please think carefully about the stewardship of the club, the venue and our festivals - we increasingly need good enthusiastic people to keep the club running well. If you think you are such a person, please talk to a club member or committee member about being nominated. If you know of someone who you think would be a good committee member, please talk to them and nominate them if they are willing. The nomination form can be accessed here. Please note, although we try to roll over committee positions for incumbents wishing to stay on, all positions are contestable. If you can't make the pot luck part, our Northern friends will give us a concert from about 8pm. Just a reminder that when we have a licence you can't bring your own drinks. What your committee has been up to. You'll be aware by now we have decided to move the club night back to Sundays following Easter but until then we have a whole lot of wonderful extra concerts for you to come to if Fridays don't work for you. We have a group working on improving our sound equipment and lighting so that your overall experience on club nights should be getting better all the time. Don't hesitate to let us know if there is anything you think we should be doing. Forty or so graced the portals for one of the more relaxed concerts we've had at 50Dundas for some time. Scottish singer-songwriter Alan Reid is on a bus-man's holiday with his pal, American maritime songwriter Larry Kaplan. Larry's songs of Great Lakes, great vessels and great disasters were lyrical; true ballads in the folk sense. Lovely voice and complimentary guitar style. Alan, on the other hand (and by his own admission), doesn't have a guitar style; so he restricted the six-string to only a couple of songs and was much more at home behind his beloved piano (generously lent by Lindsey Shields). The keyboard is the instrument for which he most identified, having been driving the famous Battlefield Band from that station for some 30 years. Add to this his considerable songwriting ability and an amazing back-catalogue of originals, both sides of the interval were filled with a comprehensive tour of Scotland and its many characters, sung and (previously) unsung. Occasionally there were nods to other great Scottish minstrels - most notably his rendition of Davy Steel's Last Trip Home. Both men have gentle beguiling voices and accompaniment styles, and were just as accessible off-stage as on. It was a true pleasure to have hosted them at 50Dundas. Changing Clubnight Days - Again! It has been an interesting exercise, moving our clubnights to Friday evenings. In spite of the immense enthusiasm from many of you for a Friday night concert instead of Sunday, this hasn't really panned out. Attendance has been much the same, with many of the same people - a lot of whom have preferred Sundays. Even the odd Friday-flag-waver has admitted that they are more likely to attend on a Sunday when there are less things to compete with their end-of-week celebrations. After several straw polls and an online survey, we've come to the decision to move back (gradually) to Sunday nights. We will be starting regular Sunday clubnights from Easter onward. But do keep an eye on the newsletter and website, as there will still be many special concerts and events on other nights too. Your committee is working extremely hard to bring you great entertainment in a great environment. We are still not covering the cost of our rent and this is taking a toll on our cash in the bank. We are giving ourselves to the end of next year to turn this around - but we can't do it without your support; coming along and paying at the door. We endeavor to bring you the best possible value for what we think is an excellent night out every week. Those of you at the 40th Whare Flat Festival will remember people running around filming and recording many events for the purposes of making a documentary about folk music in New Zealand. Bernard Madill has been working on the editing of this since that time and has a final product for us to view. We are celebrating this by having a members night on Sunday 12th November @ 6pm. Bring along your choice of drink and some food for a pot luck dinner. We don't yet have facilities for heating food so bring it ready to go. We will follow dinner with the film premiere. A superb concert on Sunday afternoon 1st August from 3pm: two larger-than-life performers. Brought to you by Yellow Eye. Stories, Songs and Stompin'. $15 - includes cash bar and cafe. great music, dancing, tasty country food, spit roast, raffles, and more! All proceeds will go towards restoration of our Hall! Click here to see pictures of previous Hoedowns. would love to have you! 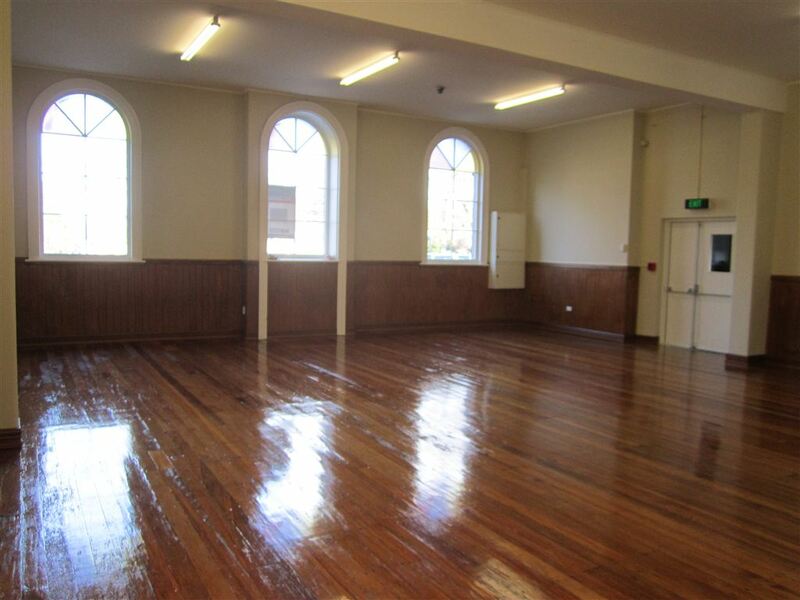 They meet in the supper room of the South Dunedin Town Hall (around 15 people). There is a piano available if that's your gig and they pay (total) $40.00 to performers. You'd probably get a cup of tea and meet some nice people too. The Jukebox Highway is a most interesting radio show curated by John Egenes and sponsored by the Dunedin Folk Club. You can listen to any number of back-issues here. It is going out live to air on Fridays at 11am and is repeated at 3pm on the following Sunday. A hot-pickin’ hour of roots, folk and country music along with news of local gigs and chats with guests from around the globe. Listen to it on 105.4FM or 1575AM, or stream it live from the Otago Access Radio website at www.oar.org.nz. The programme will also be replayed at various times on Kiwifolk Radio. We're working hard to make the clubrooms more convivial so that it is somewhere you want to come and socialise as well as listen to good music. In recent months a new heat pump was put in and this has made a big difference to the warmth of the place on our cold winter nights. You hopefully have noticed the improvements in the cafe area with new shelving, the more compact counter and food covers. Thanks to Peter Madill and Phil Corfield for their building and painting skills for this work. The committee have just approved the purchase of a number of folding tables so that the auditorium can quickly swap between rows of seats or cafe/nightclub style seating so you can look forward to seeing those soon. We are also purchasing a lockable glass fronted fridge for alcohol so that we can move towards getting a club licence for regular club nights. Any other improvements you think we need to think about let us know so that we can make this the place you want to be on a Friday night. If you are a performer we probably know about you. However if you have any other skills we probably don't. We need people who can help us in a lot of areas so if you are someone who has skills in marketing, IT, plumbing, building, interior design and would be happy to help we would love to hear from you. The cafe crew has been working hard for two years now so if anyone can help with that area and give some of them a break we want you on our list. We also need people who can handle money on the door, amusing comperes, people who can billet artists, sound or lighting techs and people who will put up posters. Drop us an email here - or let us know at the club. New Committee, Same Great Entertainment. Bernadette Berry was elected unopposed as the new President of the Dunedin Folk Club. In addition, Anne Tacon (Secretary), Kathryn Olcott (Treasurer), Anna Bowen (Festival Coordinator), Vic McDonald, Denis Gordon, Ali Wallace, Lindsey Shields, Kirk Hamilton and Mike Moroney were elected as your new committee. Bernadette says, "The first thing I would like to do is thank all the previous committee members for their work over the last year under Peter's leadership. Thanks also to retiring members Penny, Cushla and Dianne for their hard work and dedication. "When we took over our new clubrooms almost two years ago, we expected to run at a substantial loss for some years. The previous committees have managed to make the new venue viable much faster than we anticipated allowing this new committee to look at how we now develop various aspects of our club activities. "With a view to that, this next Sunday is a club night and we'll all be there, so take the opportunity to tell us what you would like to see happening. We have some ideas of our own too. "I'll try to get a monthly report of committee activities onto the 'news' section of the website so that you can keep in touch with what we're up to. Looking forward to a great year!" Hi all our Dunedin Nukes friends, we've put together a workshop and show package for Dunedin on Friday May 5th from 6pm.This will be our Nukes III album release show and you are welcome to join on in. We are at 50Dundas ( the old church) and would look to begin the workshop from 6pm running for an hour or so followed by a two set show from 7.45pm .All ages are welcome although some of the young uns may need parents/guardians along for the show part. We are contacting you directly to offer workshop and show tickets for a pre book price of $25 . We will also use this as a way to get feedback on what you would like within the workshop itself - we would like to incorporate a couple of tunes which we can send through for you to play along with us in the show itself as well as some general tips and techniques . Feel free to let others know of the show , tickets for $15 pre sale on the show only ….General tickets will be available soon at Relics and online with eventfinda for $20 so keep an eye out . A quick survey about our communication. Well, we've been in 50Dundas for a year now and all in all, we think it's going very well. We're always trying to improve our communication with our members, friends and visitors. Take five minutes to complete this survey so we know what's working and what's not. And thank you all for your continued support of our club and our venue. You can also email us any time at info@nefc.org.nz with bouquets or brickbats! After years of surfing on the declining fortunes of many Dunedin hospitality enterprises, the New Edinburgh Folk Club has finally signed a lease on an ideal premises in North Dunedin. Members will remember our various tenures at The Church; this is the other side of that building, the former Academy Theatre. We're excited to have the opportunity to develop the best little acoustic music auditorium in the village and we invite you to come on board and be part of the project. Second, please join the club, or check that your membership is current. Email info@nefc.org.nz for details on how to join or to confirm your status. The more members we have, the better we can serve you with the best in folk and acoustic music events; artists and public alike. Remember: membership has its privileges. Third, if you are a keen local, you could volunteer for one or more of the various duty rosters that we will inevitably implement to keep the venue ticking over. Fourth; suggest a name for our new venue. Last, and most important, support us by coming along to our concerts and events. You'll find there's a lot more to enjoy. Thanks to the committee and everyone else who has contributed to our arrival. Now watch us grow! There will be a memorial service for Mark on Saturday 19th February at 10:30am at the Pirates Rugby Football Club; a club that Mark had strong association with through touch, refereeing and as coach of the women's team. All who knew Mark are most welcome to attend. Mark (Maaka) Laws was an active member of the New Edinburgh Folk Club for more than a decade, as well as a long-time member of the now-defunct Pioneer Pog 'n' Scroggin Bush Band. Mark had strong associations with the Whare Flat Folk Festival and was largely responsible for developing the technical and stage-management culture we enjoy there today. Mark's second daughter was nearly born at the festival and we still remember Jamie Laws birthday (20 years this year!) each new years day. Clubmembers and musicians who knew Mark are invited to join in a musical tribute to him. What form this will take will be advised at the time, but bring an instrument if you desire. A last wah wah ooh from the Waipango Billy Lickers. Cecil Henry Sharp, known to us all as Cyril, died on Wednesday, Jan 5. His funeral will be at Hope and Sons at 10 am on Monday 10th January. "I first heard about Cyril, from a colleague who lived in Milton, where Cyril had once lived and worked, long before I met him. I guess he was the sort of person people describe as a "character": he had a fine sense of humour, and an almost inexhaustible supply of jokes. In the early days of the New Edinburgh Folk Club, Cyril was often accompanied by his wife and at least one or two of their offspring. He's been associated with the NEFC for at least 35 years, as far as I can recall. Cyril played three-row melodeon in a style I've not seen anywhere else. His repertoire consisted mainly of tunes from the mid years of the 20th Century (I think) and his style of playing used a lot of octaves and right-hand chords. In the last few years, he'd been tinkering more and more with banjo-mandolins. His "spot" at the Whare Flat Folk Festival, just near the side of the road on the way to the ablutions block, has been vacant these latter few years as Cyril found camping increasingly more strenuous. Many people will remember his gifts of shortbread at the New Year. During 2010, we seemed to hear of the death of a loved folkie every month. This year's Whare Flat Festival seems to have been bracketed by the deaths of Maaka Laws and Cyril." Cyril was a Life Member of the New Edinburgh Folk Club. Musician, academic, friend and Folk Club member dies. Ko Tarawera te awa, te Awa o te Atua. Ko te moana ā Toi ki te huatahi. Ko Mataatua me Te Arawa ngā waka. Ko Ngāti Awa, Ngāti Tūwharetoa, Te Arawa ngā iwi. Ko Te Tawera, me Ngāti Umutahi, me Ngā Maihi ngā hapū. Ko Oniao me Iramoko ngā marae. Ko Pateriki rāua ko Pirihita Ngamare te whānau. On December 30th, Mark died while diving for crayfish at Te Kaha on the East Coast. His tangi was held on Tuesday. Much is written in publications across the country about Mark's academic achievements. It came as a surprise to many at his tangi that he was a passionate musician also and played in bands for many years; most notably the Wai Pango Billy Lickers (from his days in the NZ Army) and later, The Pioneer Pog 'n' Scroggin Bush Band. Mark was an active member of the New Edinburgh Folk Club from its early days until he returned to his people in Whakatane, a dozen or so years ago. He is survived by his wife Karina, their daughters Renae, Jamie and Ani and five mokopuna. Our hearts go out to them.